Our new range of sports bras make the perfect training buddy. 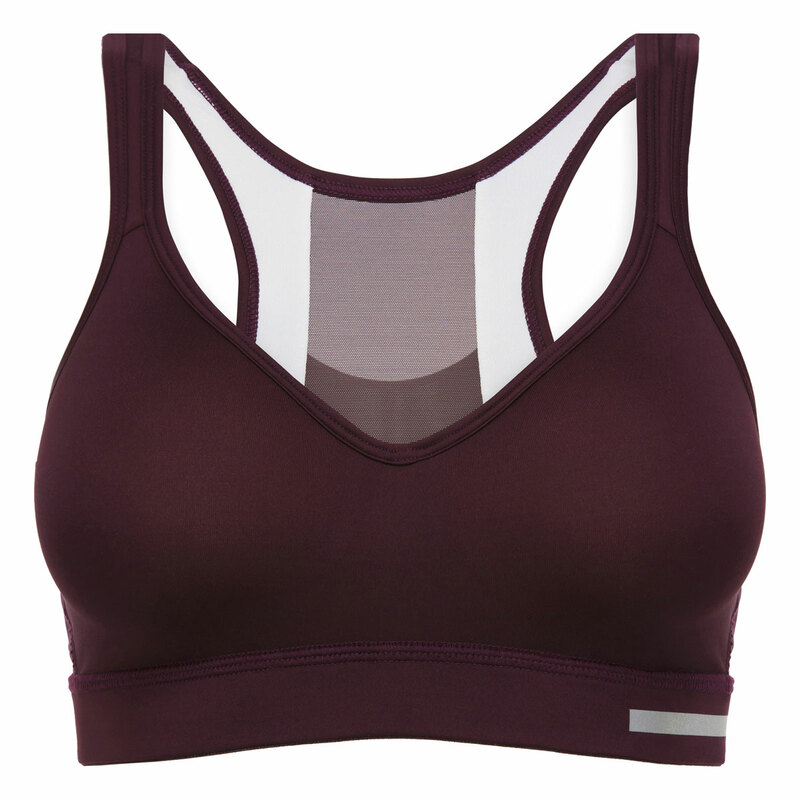 This burgundy bra provides medium + support to keep bounce to a minimum during your workout or run. Racer back with triple fastening system: you move, your bra stays put!